Quick shot in front of the Forbidden City taken during a walk in Tianenmen Square. 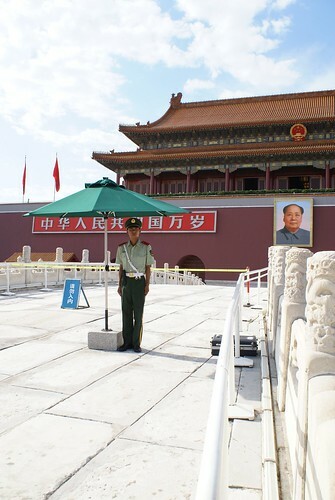 Chinese soldiers are here all day and stand at attention in front of Mao’s portrait. They anticipate potential dehydration due to sunlight and put a personal umbrella for each guard.